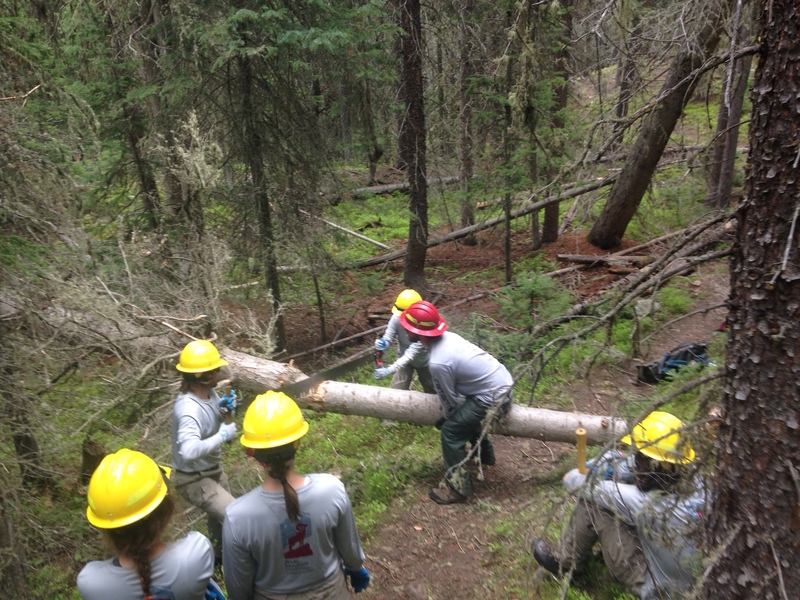 Over the past week, the Shadow crew was in the wilderness area near Devil’s Thumb. We hiked on trail for about a mile and a half and then an additional mile and a half or so off trail up to a cabin. This cabin was likely built by hauling materials like the wood stove, cabinets, and solar panels up on snowmobiles. The finished product as we found it was about 300 sq feet, had a full kitchen, two wood stoves, two swings, a snowboard, three sets of skis, and countless other household items. The Ortovox and skis we found, along with the epic peaks nearby led us to believe that it was likely used as a ski cabin in the winters. 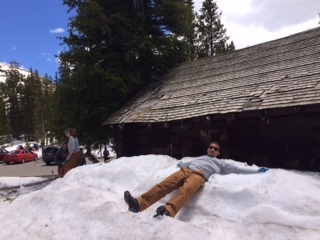 We were able to demolish the whole cabin in one day and created a burn pile that a crew will come back in the winter to burn. Not only would it be unsafe to burn in the middle of the summer, but our district is also on a stage 3 fire ban, related to the nearby Sugarloaf Fire. 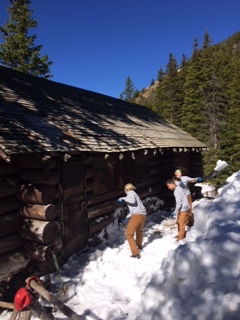 Destroying the cabin was hard and potentially dangerous work, but for most of us it was a welcome change to digging drains and clearing corridor on trails. 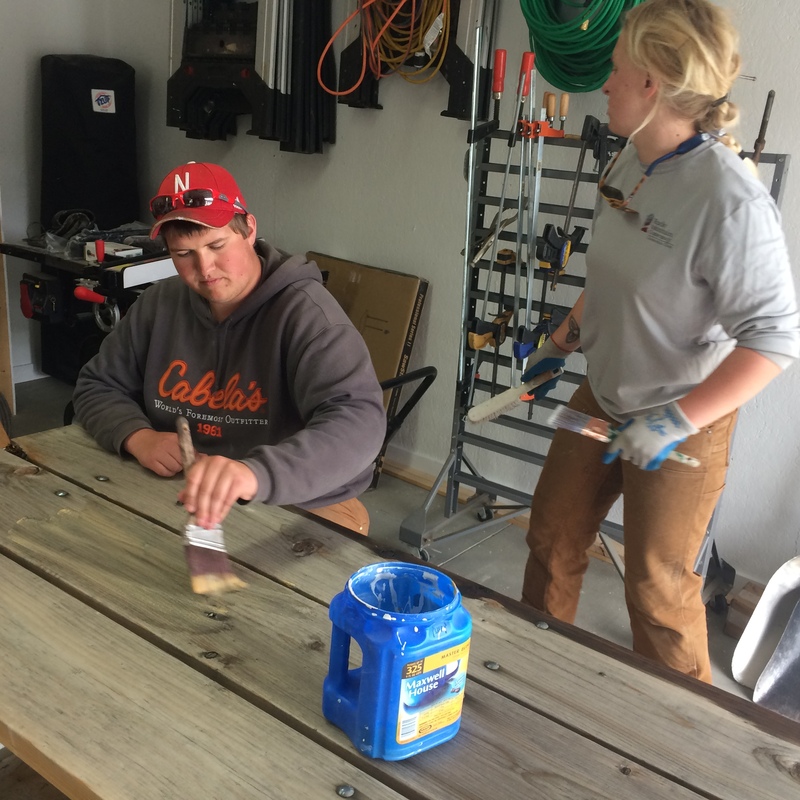 It gave us an opportunity to gain experience with tools we don’t use often such as drills, crowbars, and Emma’s favorite, sledgehammers. The roofing was resting on a net of chicken wire that was stapled into the roof poles. Nico, Caitlin, and Adam got to spend hours on top of the roof with our Trails Coordinator, Miles Miller, using wire cutters to clip off the chicken wire and roll it into piles to be hiked out. 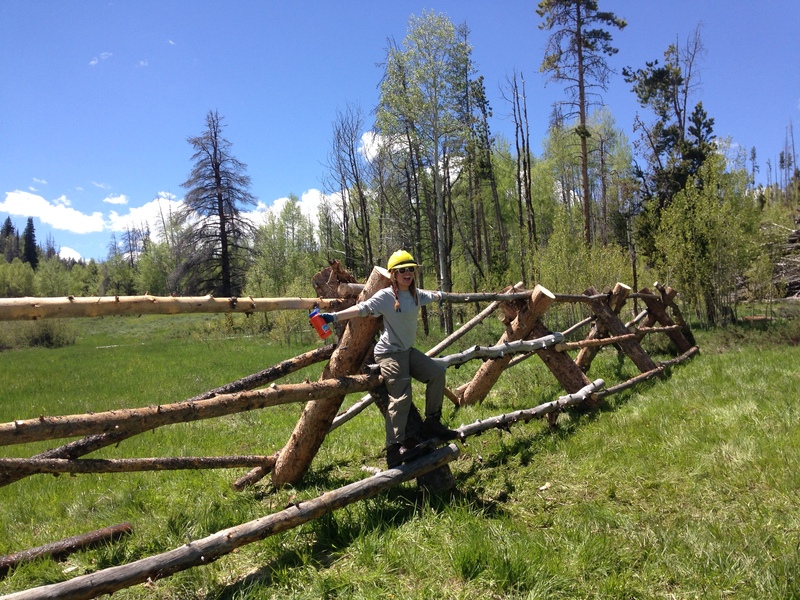 The last two days of our hitch were spent hiking out the material from the cabin that did not go in the burn pile. 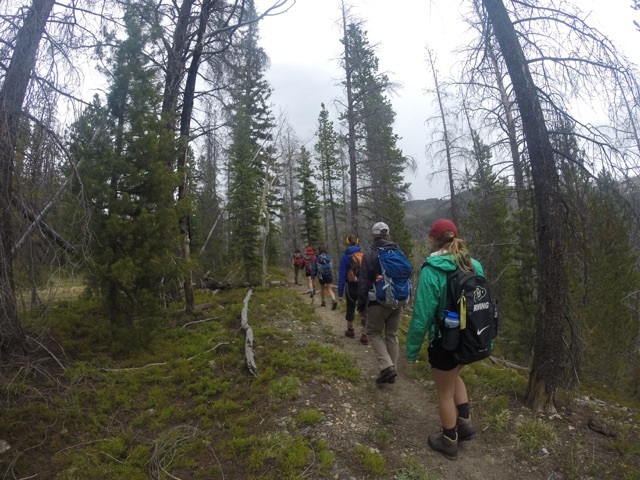 Among our crew of six, our 2 Forest Service supervisors, our Trails Coordinator, the three Student Conservation Association interns, and our two llamas, we hiked out about 3000 lbs of garbage and building materials. During one of the hikes we had a massive afternoon thunderstorm that dropped some heavy rain and even hail. Our crew got drenched and we had to hide out in our tents for a few hours that afternoon. Thankfully Mary cooked us an excellent dinner that night that warmed us all up, two pots worth of Gato Gato! Apply soon to insure yourself a chance in joining our program in 2015!